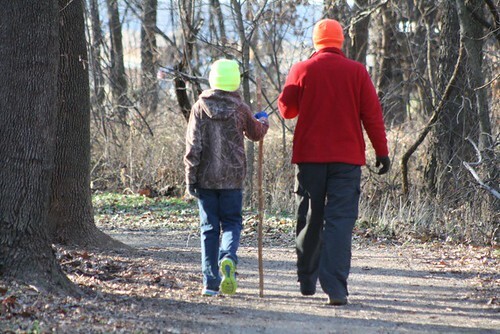 On the last day of 2015, I headed to my favorite local hiking spot, Wilderness Park in Pittsburg, Kan., to get out on the trails with my husband and our two sons. It was the first sunny day in more than a week, there was no wind, and we were just itching to be outdoors. I’ve been a hiker since I was 3 years old – old enough to grip my dad’s thumb in my tiny fist and hold on as he guided me around strip pits and up and down the spoils that formed the “mountains” of my youth. Hiking as an adult has meant tackling mountains in Colorado, desert trails in the Southwest, the rolling Ozarks of Southwest Missouri and Northwest Arkansas, the sand dunes of Michigan, and the wilderness of Alaska. Pregnant with each of our sons, I huffed and puffed up and down trails and wondered if, once my kids were born, it would put an end to my hiking days. After all, they’d barely be able to keep up, and it would mean packing a lot of extra gear. However, thanks to a front-style baby carrier and, as my kids grew, a backpack-style carrier, we made it work. I’m glad we did. It fostered in my children from a young age the process of hiking – and, yes, hiking is a process. It’s planning a route, packing what you need, pausing now and then to marvel over a sight big or small, resting on a log, taking a photograph, identifying a bird or plant or track, and wondering what is just beyond the ridge you’re hiking up or the bend you’re hiking around. After infants and toddlers outgrow carriers, look for trails within a 30-minute drive for short outings between naps and not much need to pack a lot of gear. As your kids mature, teach them the names of their discoveries. (“That white tree is called a sycamore.” “That heart-shaped leaf is from a redbud.”) Invest in a couple of field guides or cell phone apps and learn the names together. Lower expectations. 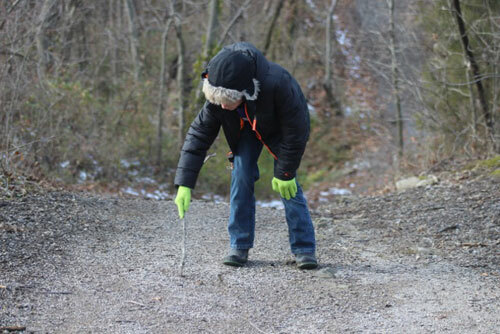 If there are hills on either side – as there are in the mined land areas we like to hike – or perhaps a downed tree, a child’s natural inclination will be to explore. This means patience and perhaps not getting in the miles you would have done solo. But enjoy such moments. You won’t get them back. Maintain the interest of older children by encouraging them to use a camera to capture interesting moments along the trail. If you try a new Kansas trail, or have a favorite ol’ standby, let me know in the comments below! A lifelong resident of Crawford County, Kansas, Andra Bryan Stefanoni has loved the outdoors since childhood when she explored the area's mined land areas with her father. 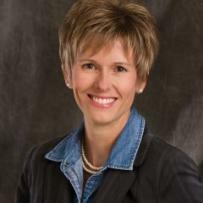 A journalist, Andra is active at hiking, hunting, fishing, gardening, mountain biking, camping, kayaking and bird watching.